COLE EDWARD KRAFT, age 20 of Mt. Airy, Georgia passed away on Friday, November 16, 2018. Born in Eustis, Florida on June 27, 1998, he was a son of Michelle Marsh Kraft of Mt. Airy, Georgia & the late Edwin “Boze” Kraft. 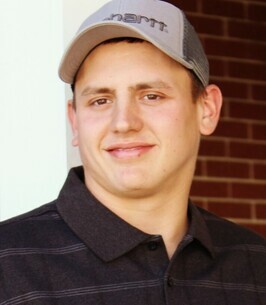 Cole was a 2017 graduate of Habersham Central High School and was currently a student at North Georgia Technical College. He was a very hardworking young man who enjoyed being outdoors and hunting. Cole was a member of Level Grove Baptist Church where he was a Leader for the 5th & 6th Grade Impact 56 Youth Group. In addition to his father, he was preceded in death by grandmothers, Judy Kraft & Debra Marsh. Survivors in addition to his mother include his brother, Jullian Adair, sisters, Meghan Kraft, Kelsey Kraft, all of Toccoa, GA; grandfather, Lloyd Kraft of Florida; nephews, Ethan Frederick of Toccoa, GA; Nicholas Alvarez of Demorest, GA; girlfriend, Addie Pitts of Clarkesville, GA; aunts, uncles, cousins, other relatives, & a host of friends. Funeral services are scheduled for 3:00 p.m. Monday, November 19, 2018 at Level Grove Baptist Church with Dr. Brian James officiating. Interment will follow in the Level Grove Cemetery with Rev. Tim Beasley officiating at the graveside. The family will receive friends at the funeral home from 4:00 p.m. until 6:00 p.m. on Sunday. To plant a tree in memory of COLE EDWARD KRAFT, please visit our Heartfelt Sympathies Store. We encourage you to share any memorable photos or stories about COLE EDWARD. All tributes placed on and purchased through this memorial website will remain on in perpetuity for future generations. So sorry to hear about Cole. He was an awesome young man. Sending up prayers for the family. I had the great opportunity to teach Cole. He was always a funny guy and kept the class laughing. He will be missed by many, but we have to think that this is just temporary. There will be a grand reunion one day and we will be reunited once again. May the Lord Bless Cole’s family during this tough time and wrap his loving arms around them. God Bless. My thoughts & prayers go out for Coles family and all that new him. He was a fine young man . He will be missed by many. He is rejoicing with God now and watching over us all. Prayers to Cole's family and girlfriend especially his mama. He is so young. May GOD be with yall and comfort yall in your time of need.